PA Chairman says that Jewish presence on the Temple Mount is "a violation of Muslim feelings." 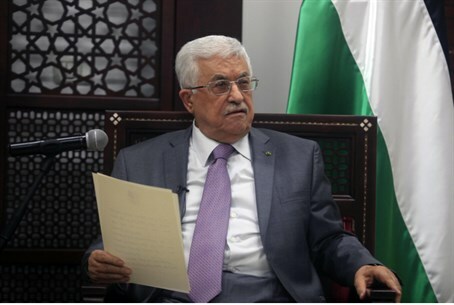 Palestinian Authority (PA) Chairman Mahmoud Abbas on Monday once again warned Jews against ascending the Temple Mount. In a statement released by Abbas’s spokesman, Nabil Abu Rudeineh, the PA warned against the escalation in the “break-ins by the settlers and Jewish extremists” to the Al-Aqsa Mosque, noting that these actions are a violation of Muslim feelings. The statement said that despite the calls for calm that were sounded by the Israeli side, these acts are continuing. Abu Rudeineh’s statement said that the Palestinians demand that an escalation be avoided and that the status quo with regard to the holy places be maintained. The statement comes amid continuing tensions in Jerusalem following the attempted murder of Temple Mount rights advocate Yehuda Glick on Wednesday. Glick - who founded and heads the LIBA Initiative for Jewish Freedom on the Temple Mount - was shot in the chest on Wednesday night outside the Begin Heritage Center in Jerusalem, after the shooter pulled up in a motorcycle or scooter, confirming Glick's identity before shooting. Following the shooting, Israel closed down the Temple Mount for all visitors, only to reopen the compound hours later following international pressure. Prime Minister Binyamin Netanyahu, who has repeatedly said he has no intention to change the status quo, on Saturday urged MKs to act "responsibly" in the face of mounting tensions. He recently folded to Jordanian pressure by promising to maintain the discriminatory status quo by which the Jordanian Waqf (Islamic trust) has forbidden Jewish prayer. Arab rioting has become a norm on the Mount, which is under the jurisdiction of the Jordanian Waqf, which heavily restricts access to Jews in addition to banning all Jewish worship on the Mount. In the wake of Glick’s shooting, however, there have been growing calls on Netanyahu to sign regulations that would permit Jewish prayer on the Temple Mount.